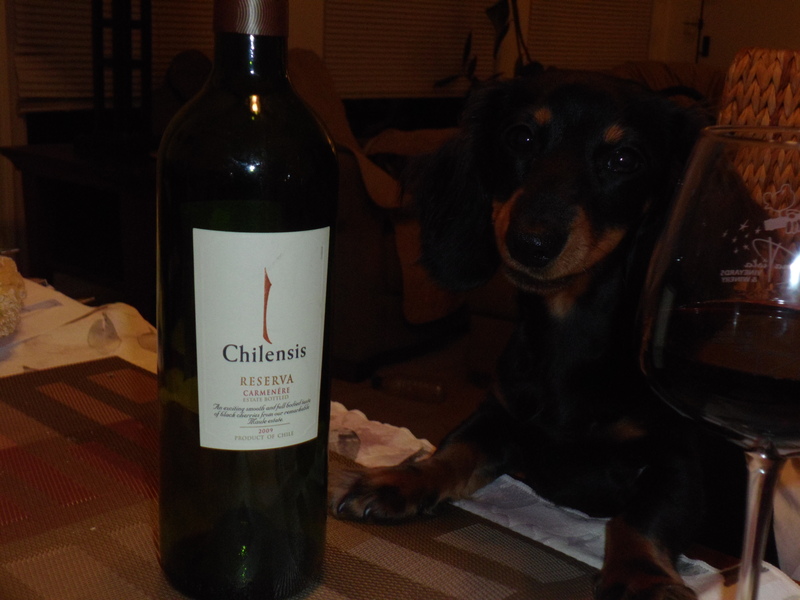 Wine Review: 2009 Chilensis Carmenere Reserva | Wine Splash! Our Wine Dox Daisy gives this wine 2 Paws out of 4! We are big fans of wines that offer different flavors than your usual red or white wine. The Carmenere grape is definitely one of those grapes of difference! On sight, this carmenere had a nice deep ruby hue and was clear. On the nose, intoxicating aroma’s of dark fruits, vanilla, tobacco, and green pepper abound! Medium to full bodied on the palate with some edgy tannins over the tongue. Flavors of ripe black cherry, plum, and black pepper tease the senses. The finish showed more cherry, vanilla spice, and was still fairly tight. The finish was a bit short but still had some good flavors and nicely structured. I would pair this wine with medium to sharp cheeses, bbq or spicy red meats, or a tomato based pasta.